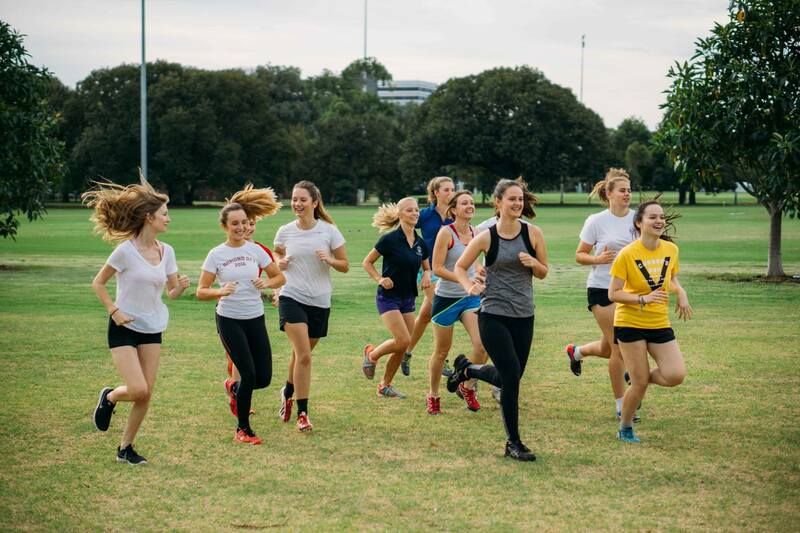 This is a guest post by Master of Entrepreneurship student Laura Youngson about taking on a world record to challenge gender inequality in sport with her project, Equal Playing Field. UPDATE: Laura set the world record!! See the amazing footage from the journey here. The playing field is not equal. From pay to media coverage and funding to opportunities, women in sport are still not on a par with their male colleagues. I came to this conclusion after a lifetime of small interactions built up to an all-encompassing roar: an exclusion from a meeting because I was female; someone asking the guy in my team to explain even though I was more qualified; a proliferation of “oh, she throws like a girl”. I pass it off as, ‘it’s nothing, other people have it so much worse’, but I kept thinking, it’s not just, it’s not equal, so why I am I complicit in perpetuating the situation? But what, as a passably average individual, could I do about it? Instead of ranting into the ether, I decided to do something positive. What’s a big enough statement to highlight the inequity of the playing field? How about doing testing our limits and doing something that has never been done before? Like many kids, I grew up reading the Guinness Book of World Records and felt inspired by their motto, ‘Dedication is what you need’. Given that I can’t drag bus by my ears or be the world’s tallest women, I found out that we can set a record that requires teamwork, adventure and most importantly, dedication. I decided I would find 35 other adventurous women, climb a mountain and play the world’s highest altitude soccer match. Sport has always been a big part of my life, ballet dancing, hockey, fencing, you name it, I’ve tried it, but I started playing soccer seriously at university and never looked back. I studied a Master of Physics in the UK and then moved to London to work for the British Government, and naturally found a team to play with there. I was then posted to the Consulate in Sao Paulo and learned the tricky Brazilian skills in the 7v7 games. Back in London, I had the opportunity to work at London 2012 for a year, managing the VIPs and volunteer teams at the Olympics. I then decided to challenge myself and, along with my now husband, set off for Northern Mozambique to run a 5* lodge, an experience that can be compared to the classic sitcom, Fawlty Towers. I worked with the local villagers to establish a women’s team and play against other villages, pushing against the traditional stereotypes to allow women to play at all. Now we have over 60 women coming to the mountain and preparing to set a record. Aside from successfully playing a football match for ninety minutes in thin oxygen, we are using the climb as an opportunity to highlight the gender inequalities faced today by women in sport. Women have fewer opportunities to play sport, they get paid less when they do play sport, and they don’t get the same coverage or respect in the media. I don’t want to be having this same discussion with my future children. I joined Wade Institute in February, bringing this half-evolved project with me. Since then I’ve put in to practice everything I’ve learnt in the course to make the project better. I’ve recruited some Ormond College undergraduates [residential college at The University of Melbourne] to help with social media and project management, offering them a unique opportunity to connect with an international community over multiple timezones and deliver a logistically challenging, world-class event and global campaign. Representing Australia is Jacqui Hurford, a FIFA pro referee, now working to develop the next generation of referees. 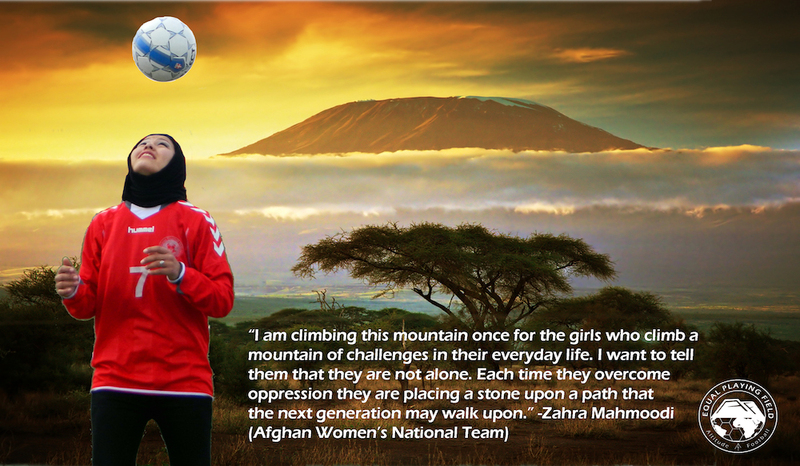 To help Zahra and the others reach the mountain and shine a spotlight on the inequalities faced by women in sport around the world, we’ve launched a crowdfunding campaign with Start Some Good, an impact investor based in Sydney. UPDATE: in addition to achieving her world record breaking goal, Laura also pitched her story at TEDxMelbourne’s inaugural Open Mic Night and won!! Watch here winning pitch here.